We looked at the top 1 Vitamins and dug through the reviews from 3 of the most popular review sites including The Fertile Times, Born Cute, Prenatals and more. Through this analysis, we've determined the best Vitamin you should buy. In our analysis of 25 expert reviews, the Solimo Solimo Prenatal Vitamins & DHA Multivitamins placed 8th when we looked at the top 9 products in the category. For the full ranking, see below. 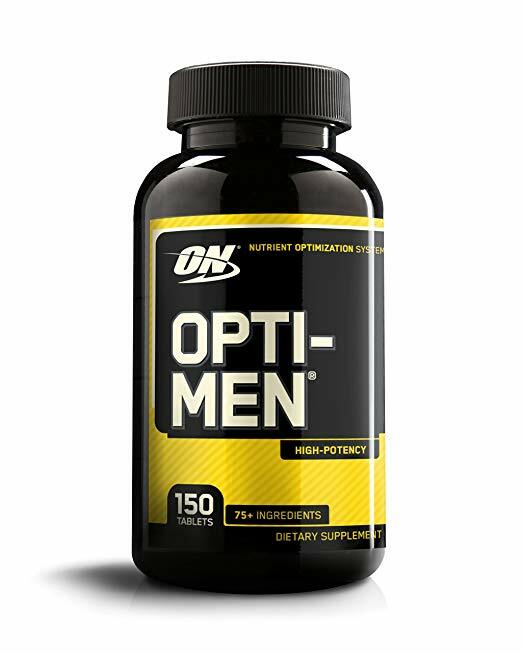 Checkout The Best Multi-Vitamins for a detailed review of all the top vitamins. The best thing about these prenatal gummy vitamins is their price! They are extremely affordable at only $10 for a 45 day supply. These vitamins also contain a small amount of DHA and choline. The jelly texture is softer than a fruit snack, thus making them super easy to chew. The sugar crystals on the outside of the gummy add an extra bit of sweetness to the taste. These vitamins are extremely easy to use, taste delicious, and contain DHA, which many other prenatal vitamins on the market fail to do. They are also insanely affordable, which is something all of us can appreciate! Some of the nutrients are not ideal. These vitamins contain folic acid, not folate or methyl-folate.These vitamins also contain no calcium, no iron and no iodine. Feels the strawberry gummy leaves a fishy aftertaste. Unfortunately, Solimo Prenatal + DHA falls short when it comes to the actual ingredient makeup of the vitamin. Many essential ingredients are left off entirely, and other ingredients, such as the DHA, aren’t nearly close enough to the Recommended Dietary Allowance (RDA). Solimo Prenatal & DHA gummies feature orange, lemon, and strawberry flavors with other natural flavors. They're gluten-free. Adults - chew two daily. This product contains fish. Pork gelatin is used to encapsulate the fish oil which helps with dispersion during processing and helps prevent the 'fishy' aftertaste, common in fish oil supplements. As delicious as food tastes, the basic reason for eating every day is nutrition. The human body needs certain nutrients for both short and long-term health, and hopefully, your diet is well-rounded enough to include them all. Unfortunately, for most people, diet isn’t enough. An estimated one-third of Americans don’t get enough calcium and magnesium, and half don’t get enough Vitamin C from diet alone. That’s where multivitamins come in. Even if your diet gives you all the nutrients you need, one dosage a day can supplement that amount, filling in any gaps. But not all multivitamins are equal. Even among vitamins that provide all the most essential nutrients, there are concerns, like design and manufacturing processes, that come into play. The first thing to consider is format. Do you want pills you’ll have to swallow with water? Or is a tasty gummy vitamin more palatable? Although gummy vitamins can be delicious, they also add sugar and calories to your diet, especially if you choose one that requires a handful of gummies per dose. If you choose a pill, though, it’s important to consider that some come with an aftertaste. You also may find that one multivitamin is larger and more difficult to swallow than others, and a dosage of four or more pills can make that a tough feat. Health-conscious consumers will also want reassurance that the vitamin they’re choosing isn’t filled with artificial ingredients. When all other things are equal, factors like preservatives and the manufacturing process used to make them can push you in the direction of one pill versus another. If you have food sensitivities, you’ll be glad to know you can now find vitamins that promise to be free of gluten, milk, nuts and other common allergens. In addition to basic ingredients, you’ll find that some vitamins pack in extras, like superfoods and antioxidants. Many feature Omega-3, which is often recommended by medical professionals for heart health. It can not only help keep your cholesterol levels in check, but it’s also been recommended to stave off depression and anxiety, as well as serving as a possible brain health booster. It may seem like nutrition has been around forever, but science actually didn’t even use the word “vitamins” until the 20th century. The first known mention of the word was in a 1912 article by biochemist Casimir Funk, where it was referred to as “vitamine.” While studying a disease called beriberi, the scientist concluded that the cause was a deficiency in something the body needed. Beriberi primarily affected those of Asian descent who were subsisting on a diet heavy in white rice. Funk’s theory was that certain nutrients in food could help battle beriberi, as well as other diseases. Over time, his theory caught on, and the scientific community began studying the connection between disease and diet. 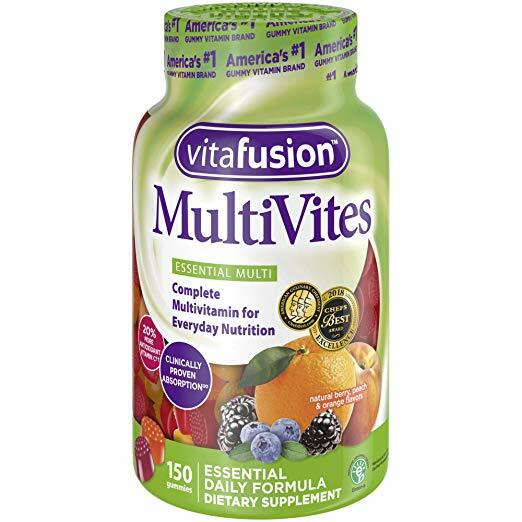 When you buy a multivitamin, first and foremost, you want to know that it will provide all the nutrients you need. The NATURELO Whole Food Multivitamin for Women includes Vitamins A, B, C, D, E and K, while SmartyPants Adult Complete Daily Gummy Vitamins gives you a boost of Vitamins D3, B12 and E. SmartyPants Women’s Complete Gummy Vitamins include Vitamins A, C, D, E and K.
In addition to standard vitamins, many of today’s supplements incorporate bonus ingredients that can improve your health in many ways. NATURELO Whole Food Multivitamin for Women includes antioxidants to help fight against disease. SmartyPants Adult Complete Daily Gummy Vitamins build in probiotics for gut health and Omega-3 for heart health. The NOW Foods EcoGreen Multi Vitamin includes organic green superfoods, and SmartyPants Women’s Complete Gummy Vitamins include Omega-3 oil. Although SmartyPants Adult Complete Daily Gummy Vitamins packs plenty of Omega-3, you won’t get the unpleasant taste you get when you take fish oil. NATURELO Whole Food Multivitamin for Women takes safety seriously, manufacturing their products in only FDA-approved facilities. They’re also Good Manufacturing Practice certified. If you’re looking for vitamins, you’re probably health conscious, which likely means you’re not a fan of preservatives and artificial ingredients. The NATURELO Whole Food Multivitamin for Women is tested to ensure it’s pure across all areas, with the company consistently focused on packing its products full of quality, all-natural ingredients. You’ll get no preservatives or artificial colors, as well as the peace of mind of knowing that the company strives to keep its manufacturing processes as clean as possible. SmartyPants Adult Complete Daily Gummy Vitamins and SmartyPants Women’s Complete Gummy Vitamins also pride themselves on keeping artificial ingredients out of their products. If you have diet sensitivities, you may want to focus your search on SmartyPants Women’s Complete Gummy Vitamins, which are safely free of eggs, fish, gluten, milk and nuts. Some vitamins are general in their design, while many others are geared toward certain genders and ages. SmartyPants Women’s Complete Gummy Vitamins are geared specifically toward women, but SmartyPants Adult Complete Daily Gummy Vitamins are advertised for adults in general. 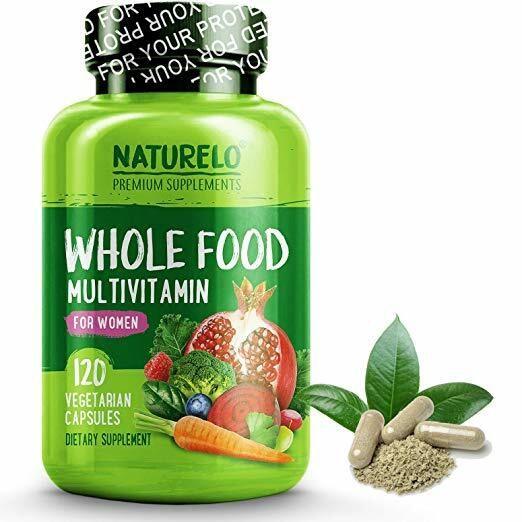 You can get the NATURELO Whole Food Multivitamin for Women in versions for men, women and children. 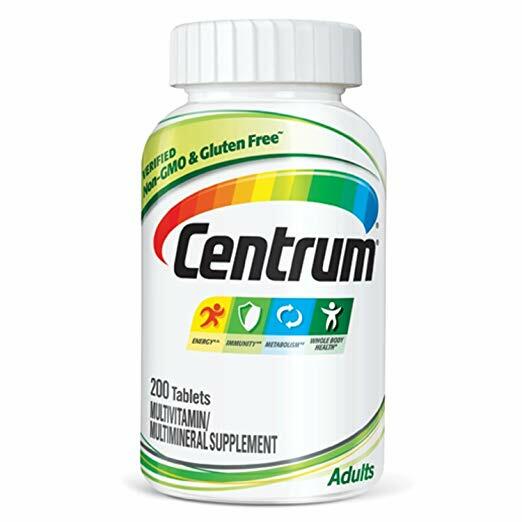 In general, you’ll find most vitamins are priced in the $20 range for a bottle with more than 100 pills. But the NATURELO Whole Food Multivitamin for Women exceeds double that price. For those who are extremely concerned about safety and natural ingredients, though, the extra cost may be well worth it. One common complaint about pills of any kind is size. Large capsules can be difficult to swallow. This is one benefit to gummy vitamins like SmartyPants Adult Complete Daily Gummy Vitamins and SmartyPants Women’s Complete Gummy Vitamins, which are chewable and tasty. In addition to the size of the capsule, dosage is important. 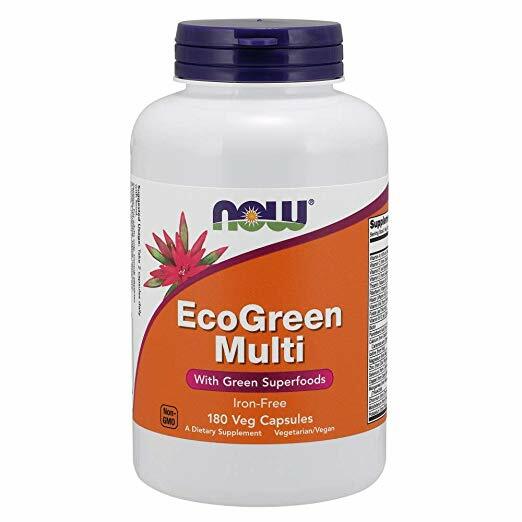 The NOW Foods EcoGreen Multi Vitamin requires only two capsules, compared to NATURELO Whole Food Multivitamin for Women, which requires four capsules a day. The dosage for gummy vitamins is even higher. SmartyPants Adult Complete Daily Gummy Vitamins and SmartyPants Women’s Complete Gummy Vitamins require six gummies, which total 50 calories per serving. It’s also important to factor serving size into price. You’ll see many retailers list the unit cost, which can be a better determinate of how much you’ll pay on an ongoing basis. In addition to calories, sugar content is also something to keep in mind. The deliciousness of gummy vitamins comes at a price. SmartyPants Adult Complete Daily Gummy Vitamins and SmartyPants Women’s Complete Gummy Vitamins bring 8 and 7 grams of sugar per serving, respectively. With the NOW Foods EcoGreen Multi Vitamin, you’ll get a bit of an aftertaste that you won’t find with some other multivitamins in its class.